We previously heard that the new Apple TV would be launching in March, although according to a recent report, Apple plans to launch their next generation Apple TV in March. Apple are apparently in talks with Time Warner Cable to provide TV shows and other content for Apple TV, they have apparently been in talks for the last year. The new Apple TV is expected to get an upgraded processor, and will apparently come with a range of new features, references to the device were recently spotted in iOS 7. 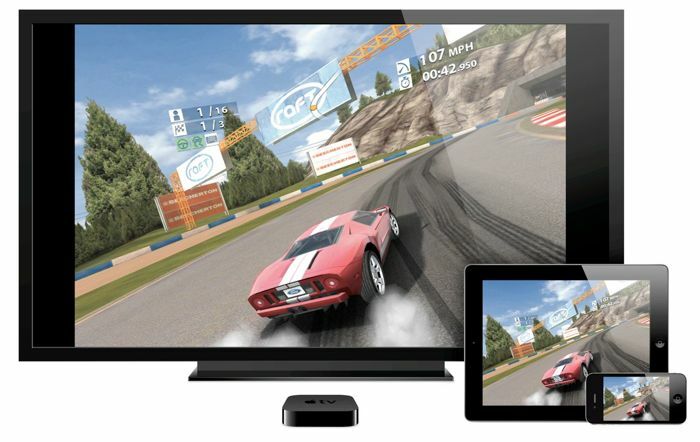 The updated Apple TV is rumored to come with apps and games, it is not clear as yet how these will work, they could be streamed direct from Apple’s iCloud. Another option for Apple is to include built in storage in the Apple TV, which would allow you to download apps and games direct to the device. If Apple decided to include storage rather than use iCloud for apps and games, then these features may not be available on older Apple TV devices as the current model has not built in storage. As soon a we get some more information on the new Apple TV we will let you guys know,with regards to the Apple HDTV, we have not heard much about this device recently, we previously heard that it would launch some time in 2014.